When it comes to transmission care, our certified technicians at Weber Automotive are the best around! Most of the time, you don’t hear about transmission repairs because more often than not, most automotive shops do not know how to open up a transmission. However, Weber Automotive can, and we can usually repair your transmission at a fraction of the cost of replacing it with the other guys. 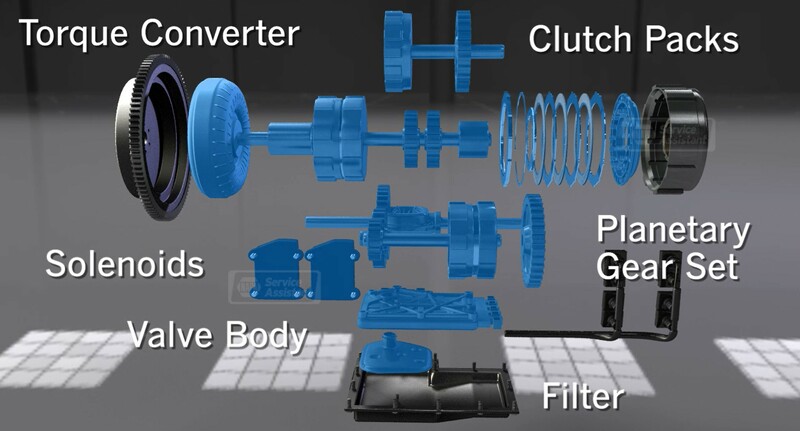 The transmission is the part of your car which converts power from the engine, allowing gears to change, moving the wheels, making the car drive forward. Below you can see an image of an animated dissected transmission. Each manufacturer has their own recommendation for how often to change your transmission fluid. However, most manufacturers are now claiming that transmission fluid will be good for the life of the transmission. This is true, but pieces of clutch plates accumulate in the fluid, which causes it to wear seals, gaskets, and hoses over time. Then the dirty transmission fluid leaks which can lead to transmission failure. Therefore, if you want to extend the life of your transmission, then its best to change your fluid every 60,000 to 70,000 miles. There are multiple common issues people have with their transmission such as your car is not shifting right, or there is a transmission malfunction code. Many automotive shops, including the manufacturing dealers, don't have technicians that can get inside of a transmission. Instead, they will replace your transmission for $6,000-$8,000, depending on the vehicle. However, in many cases, the only problem is just one component in the transmission. This piece has gone bad, but it can easily be replaced by certified and experienced technicians at a fraction of the cost of a full transmission replacement! 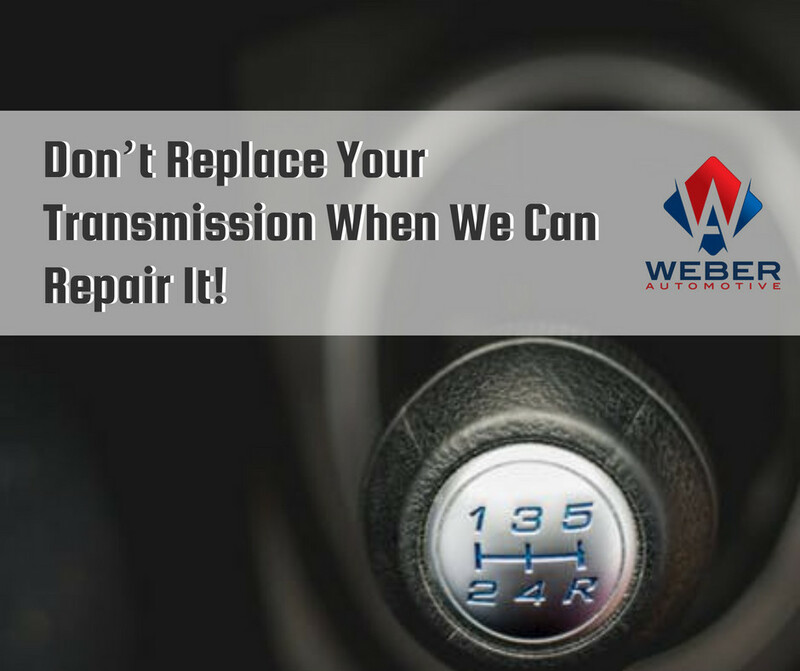 If your transmission has some issues and you don’t want to pay a fortune to replace it, then take it to our knowledgeable technicians here at Weber Automotive. If you want to schedule an appointment for your car or have any questions about transmissions or transmission fluids for your car, then contact us today!